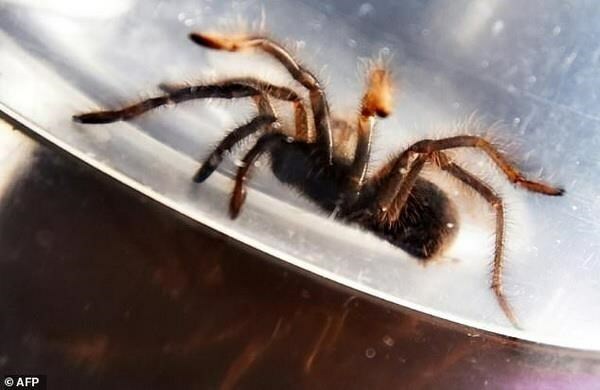 Hanoi (VNA) – As many as 757 tarantulas in plastic containers were recently discovered in a package sent from Poland to the Philippines, said Philippines customs on April 3. According to AFP, the package, found at a mail facility near Manila’s airport, was the latest seizure in a nation that is a major source and transit point of wildlife trafficking. The package invoked the suspicions of customs officials after they found boxes for cookies, oatmeal and tea. The cartons contained dozens of plastic bags packed with spiders. The tarantulas have been sent to the environment department’s rescue centre, which will take responsibility for the animals and identify their species. Chief of the Wildlife Traffic Monitoring Unit of the environment department of the Philippines Arnel Matreo said the seized wild animals, valued at about 5,700 USD, are frequently sold as pets. Matreo said two people who tried to claim the package were detained on charges of violating wildlife protection and customs laws.